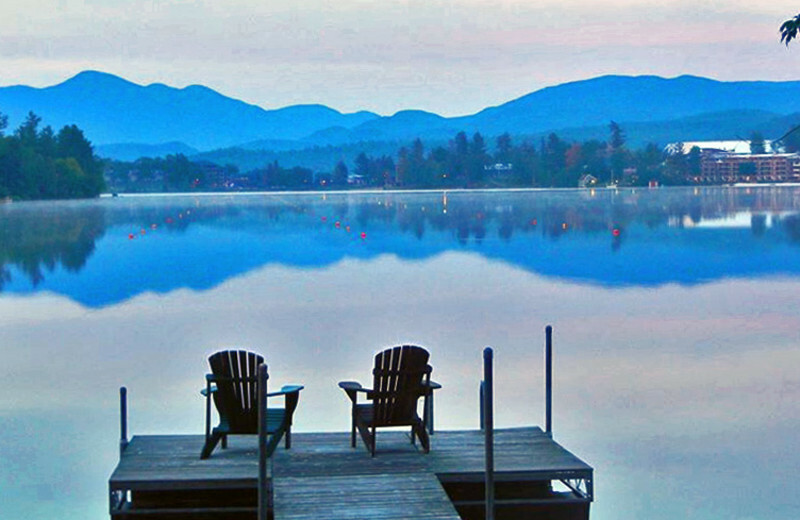 The beautiful Adirondack Mountains offer the perfect place to enjoy a little peace, quiet, and adventure. 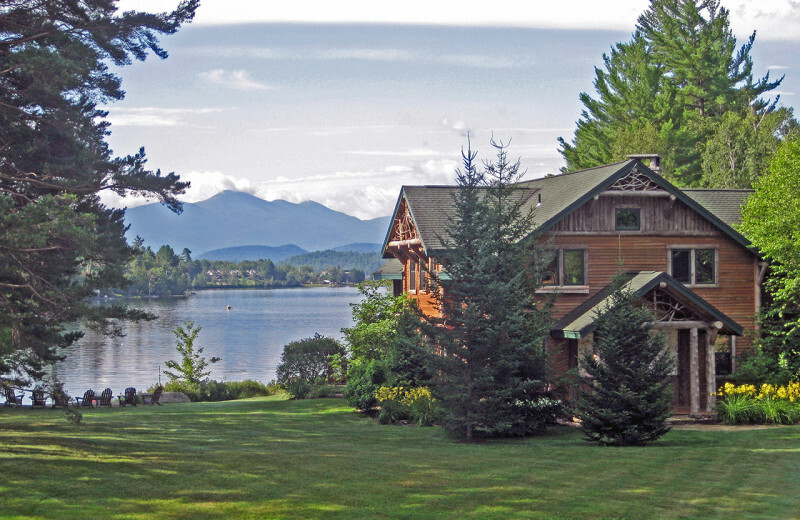 Rent with Adirondack Premier Properties and find the perfect home-away-from-home in the Lake Placid area. 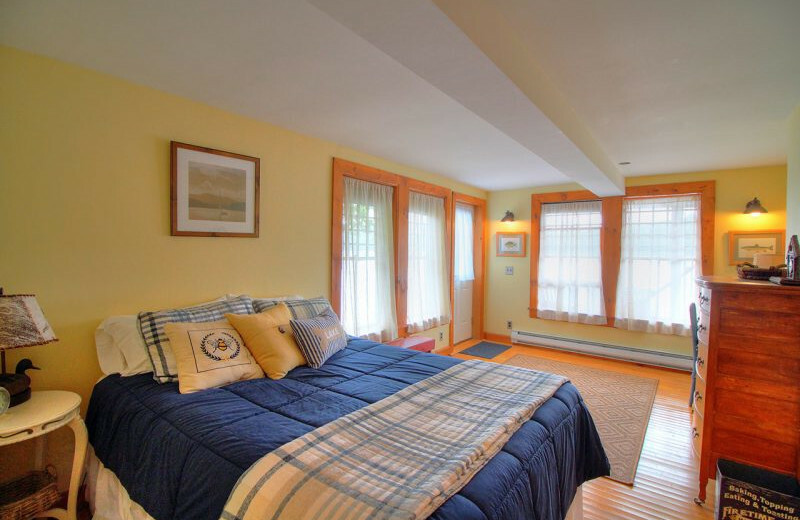 Their impressive collection of vacation rentals come in a variety of sizes and styles so you're guaranteed to find the one that's just right for you. 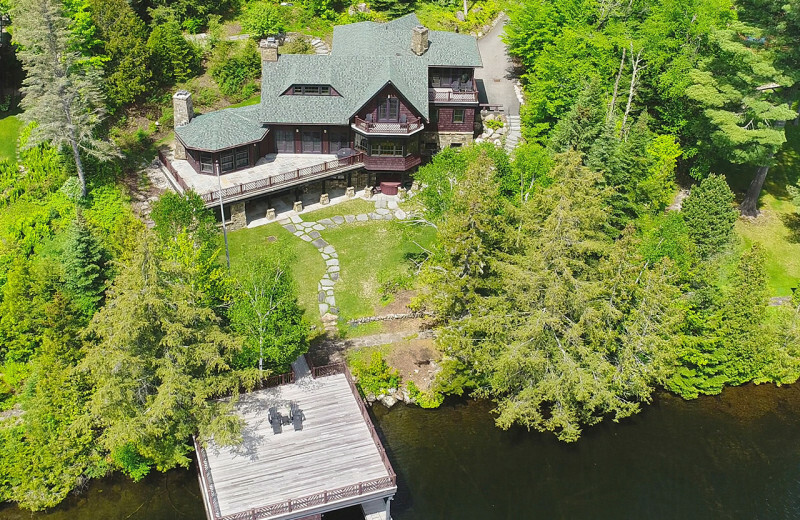 Enjoy breathtaking views of Lake Placid or the Saranac Lake Chain and an assortment of luxury amenities such as fully-equipped kitchens, large and open living rooms, modern bathrooms, private decks, wireless internet and so much more. 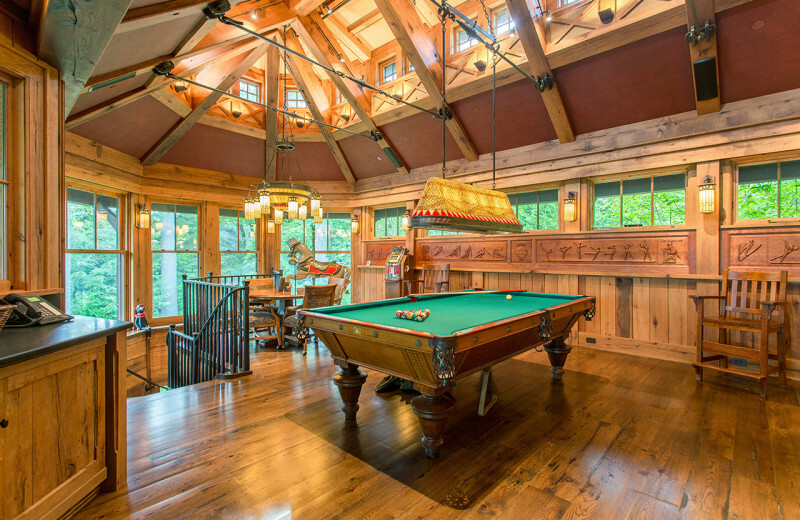 When you're not indulging in all your spoils, you'll be delighted to find plenty of exciting activities just minutes away. 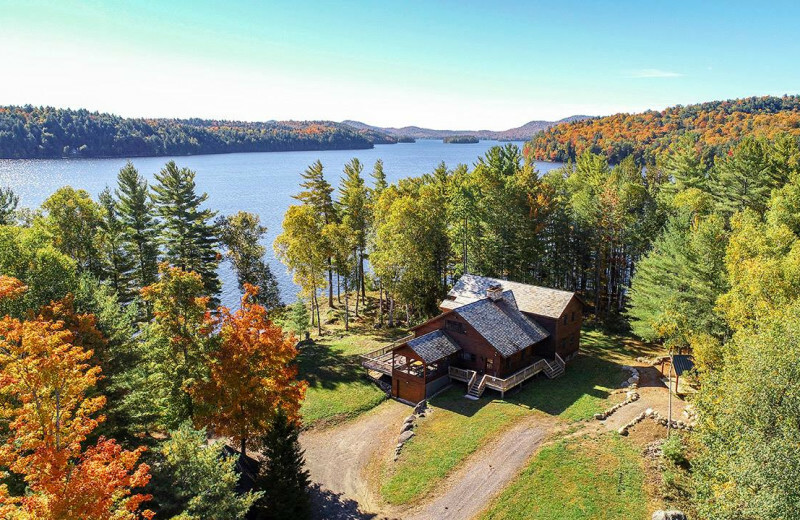 Spend an afternoon fishing out on either Lake Placid or in the Saranac Lake area, or hike up the miles of trails the wind and weave through the Adirondacks terrain. 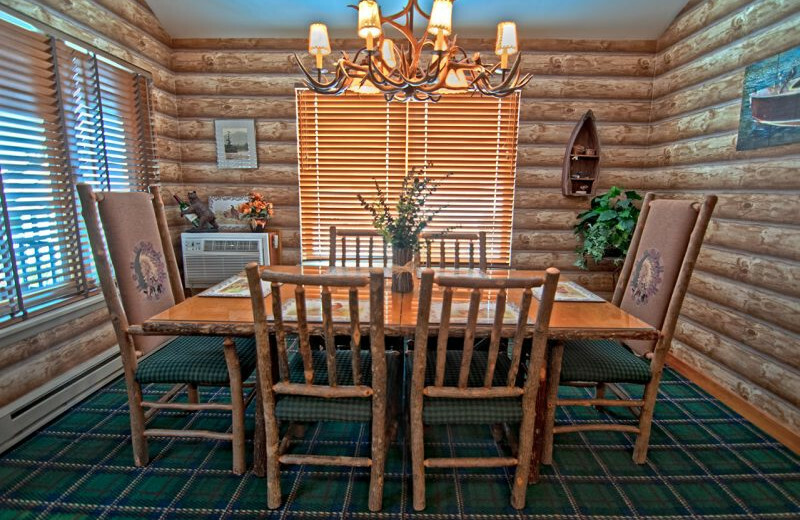 Visit in the winter for excellent skiing opportunities as well! 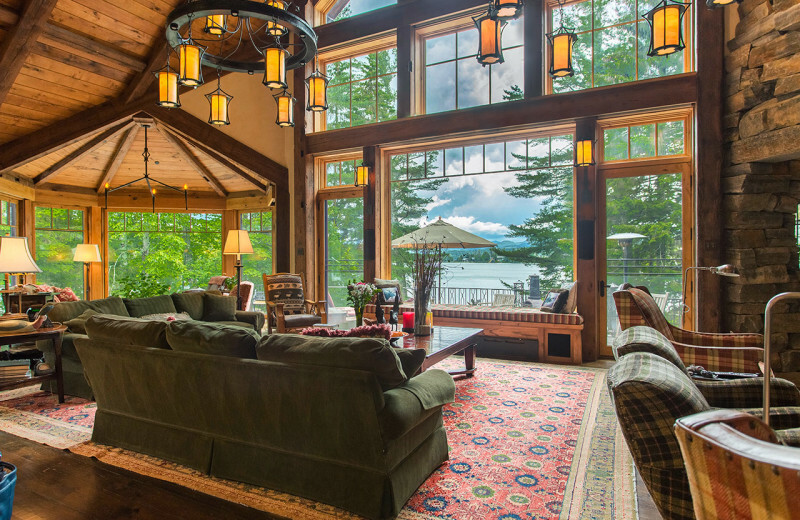 No matter how you choose to spend your time, a vacation with Adirondack Premier Properties - Berkshire Hathaway offers you the perfect gateway into experiencing all the wonders of the Adirondack Mountains! 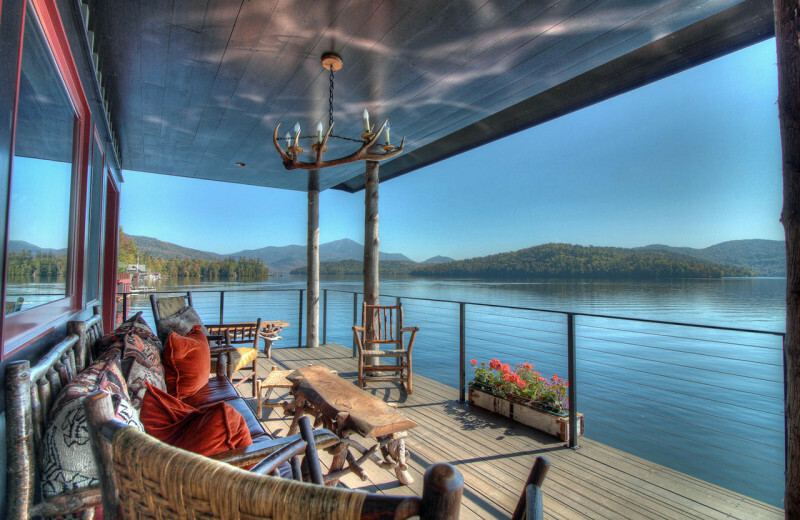 Spend quality time with your loved ones away from all the distractions of everyday life. 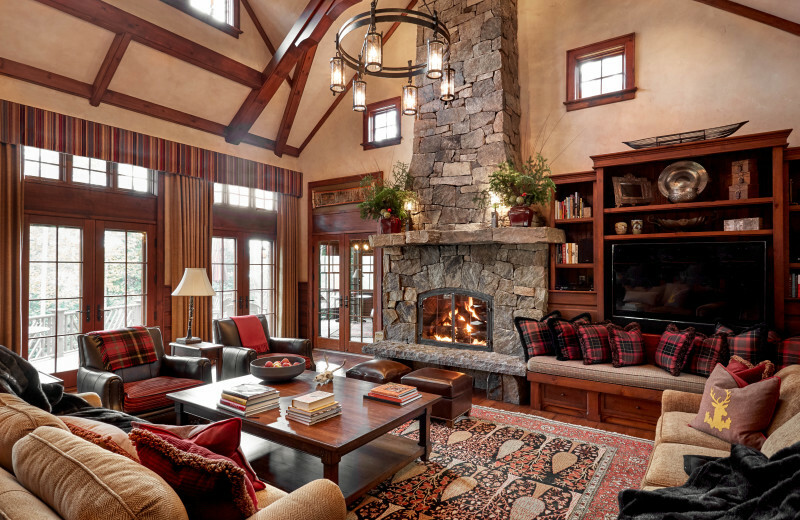 With Adirondack Premier Properties, you're able to easily find a luxury accommodation in the Lake Placid, New York area and feel right at home throughout your stay. 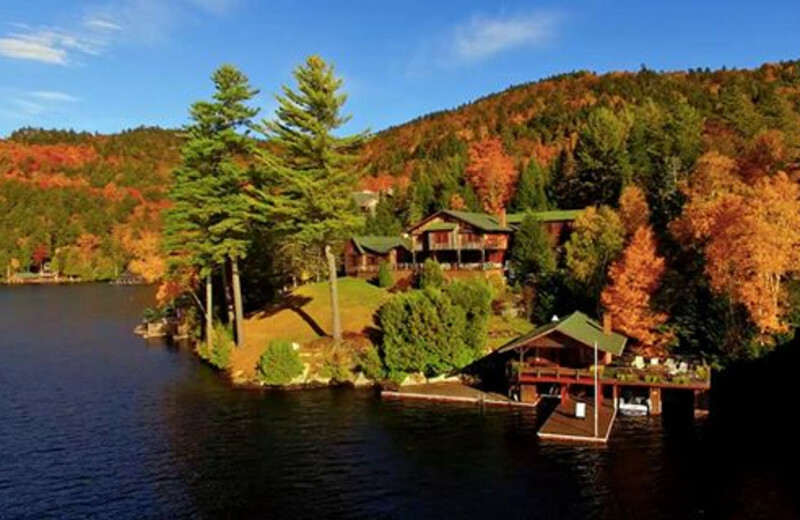 Their elegant homes, cabins, and condos are all expertly furnished and just minutes away from popular sites such as Lake Placid itself, Saranac Lake, and of course, the Adirondack Mountains. 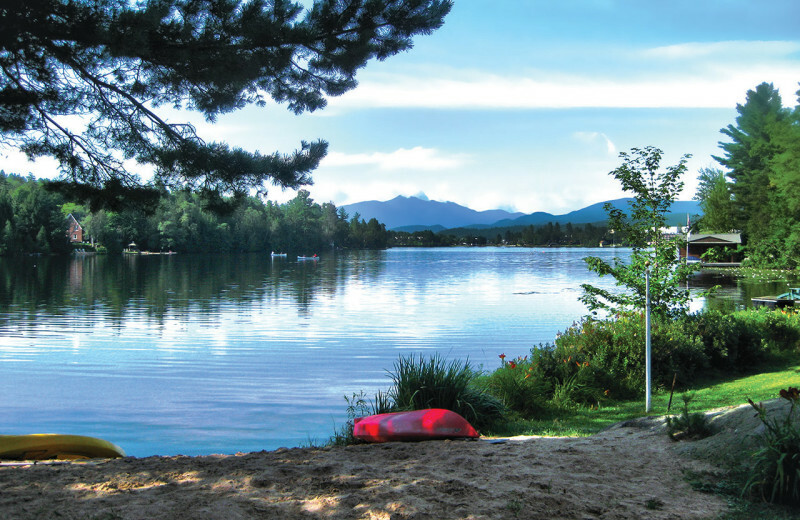 Whether you spend a day hiking through the trails, or splashing along the lake shores and building sandcastles with the kids, you're sure to have an unforgettable time! 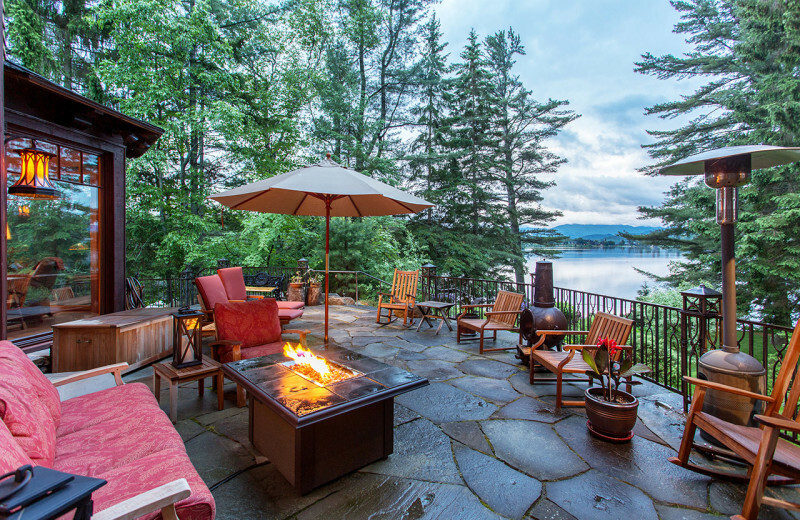 The Adirondack Mountains are a magical destination that welcomes travelers from around the country. 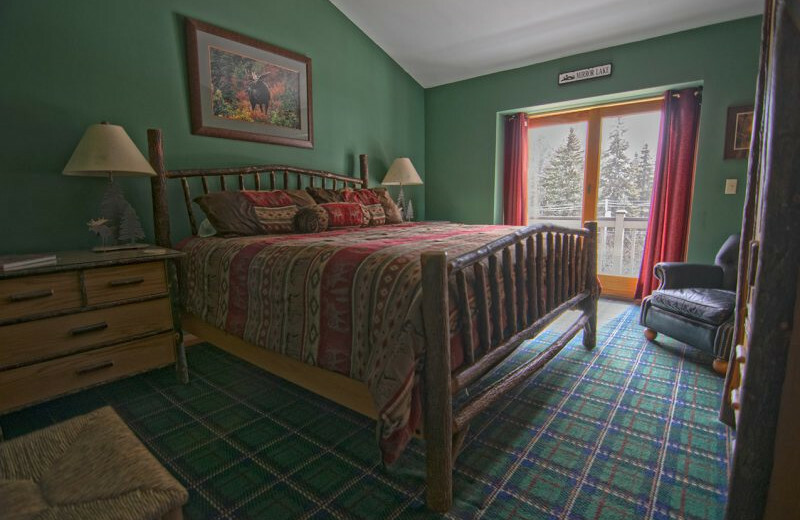 The beautiful mountain peaks offer a wealth of year-round adventures that range from hiking the famous 46 High Peaks to skiing down the snowy terrain come wintertime. 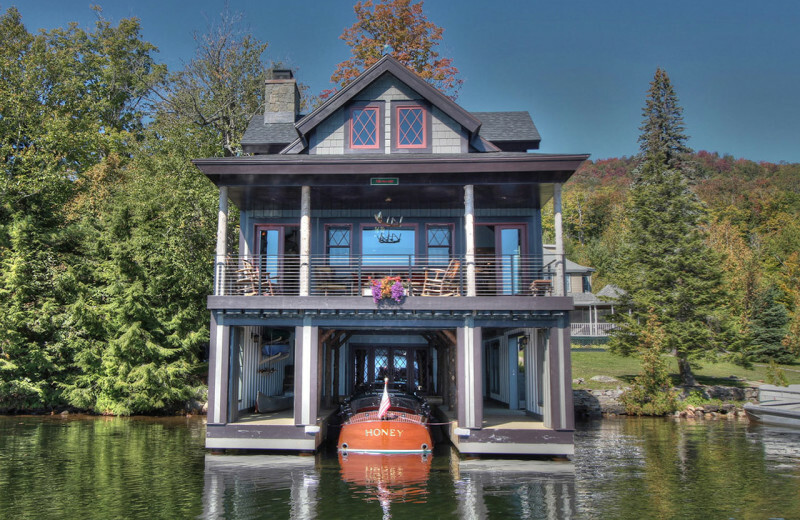 Adirondack Premier Properties offers luxury accommodations located along the shores of Lake Placid and the Saranac Lake Chain, which offers over 30 miles of boating. 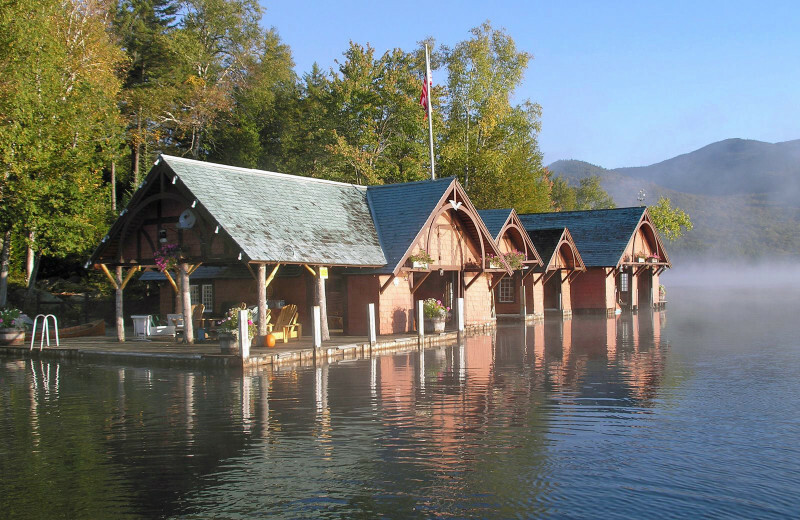 Enjoy a day of fishing, swimming, or kayaking and bask in the stunning mountain views all around! 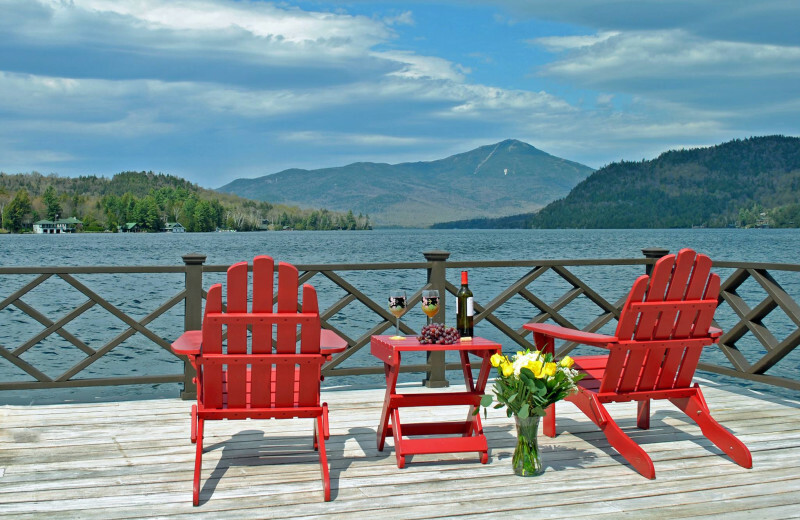 Couples that love peaceful surroundings and the beauty of nature will love a vacation with Adirondack Premier Properties. 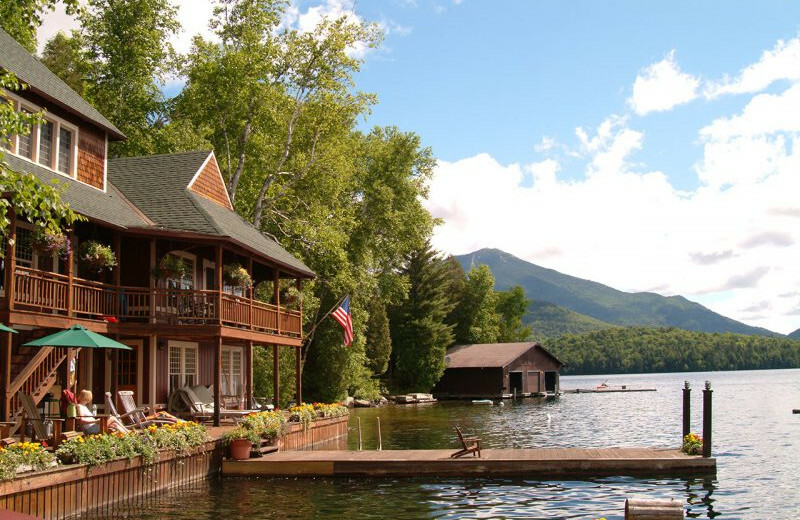 Book a stay at one of their incredible Lake Placid accommodations; choose a waterfront property or a cozy mountainside cabin--whatever suits your style and needs the best! 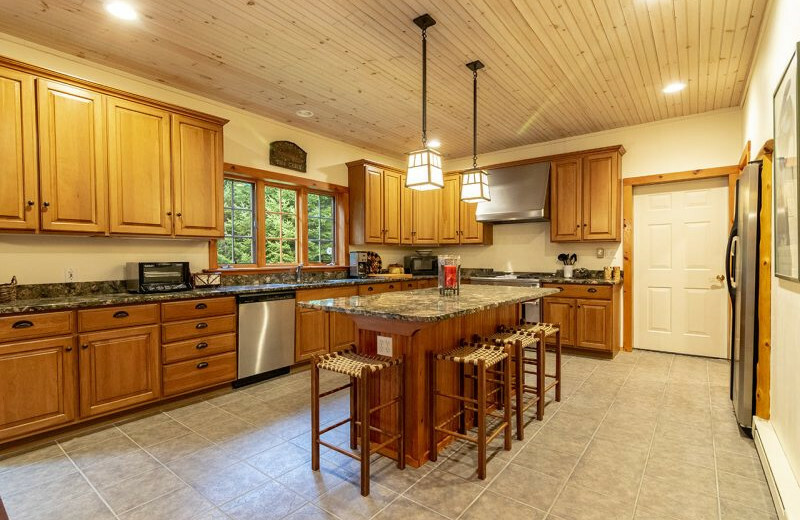 You'll love the close proximity to the hiking trails around the 46 High Peaks, kayaking across Lake Placid, or exploring the quaint shops and restaurants in town. 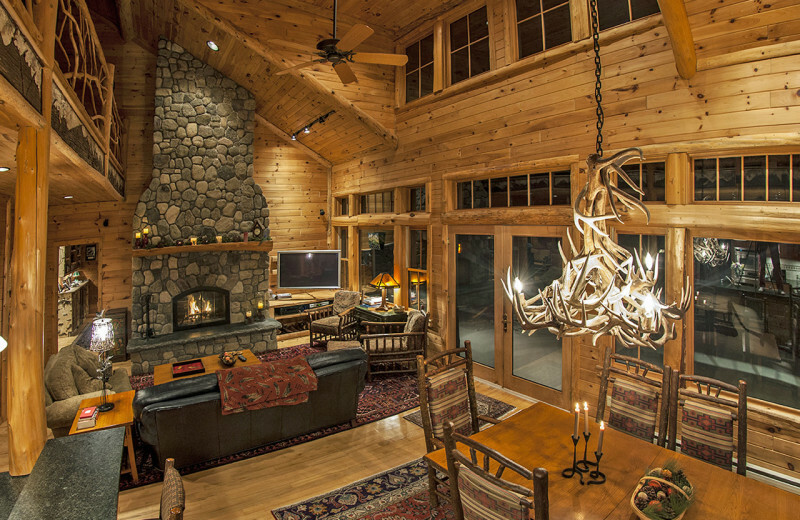 After a long day, curl up beside your firplace, or indulge in a glass of wine while enjoying the mountain views from your private deck. 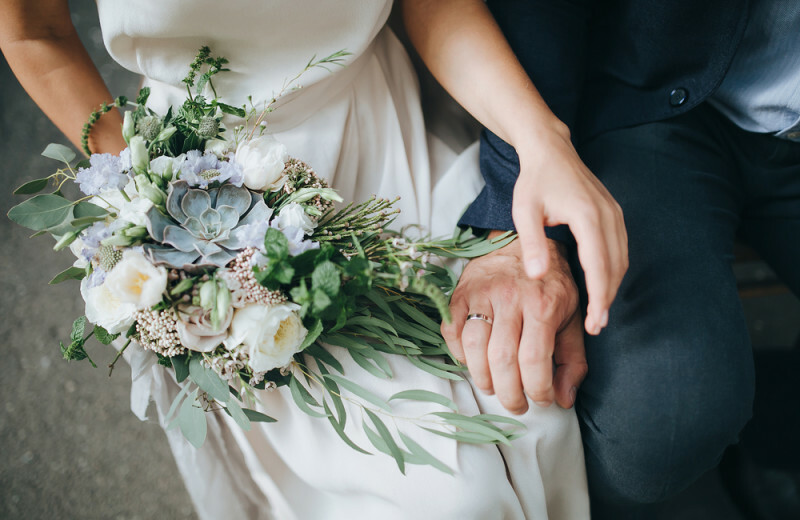 This is the perfect place for a little romance! 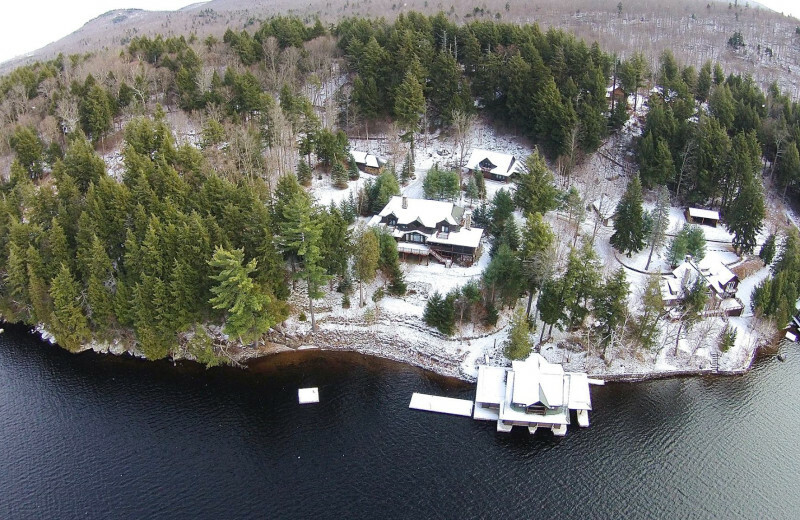 Winter lovers will find exceptional opportunities waiting in the Adirondacks! 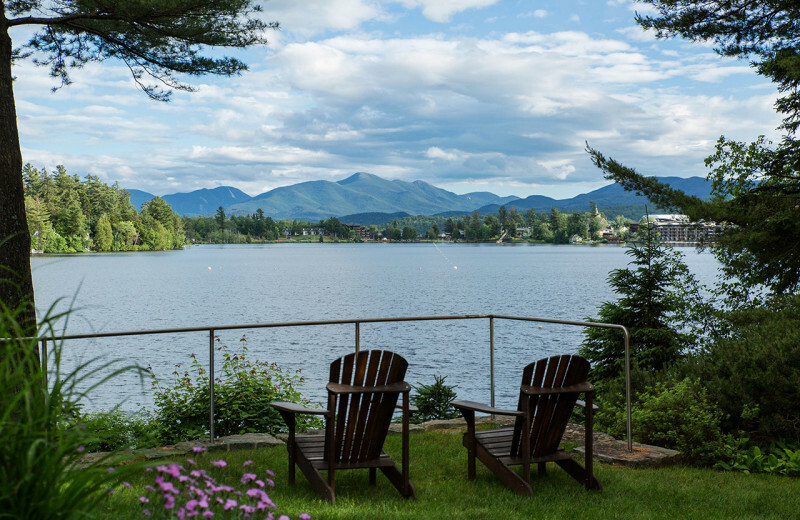 When you stay with Adirondack Premier Properties, you're ideally located in the Lake Placid, New York area, which is close to the popular Whiteface Mountain. 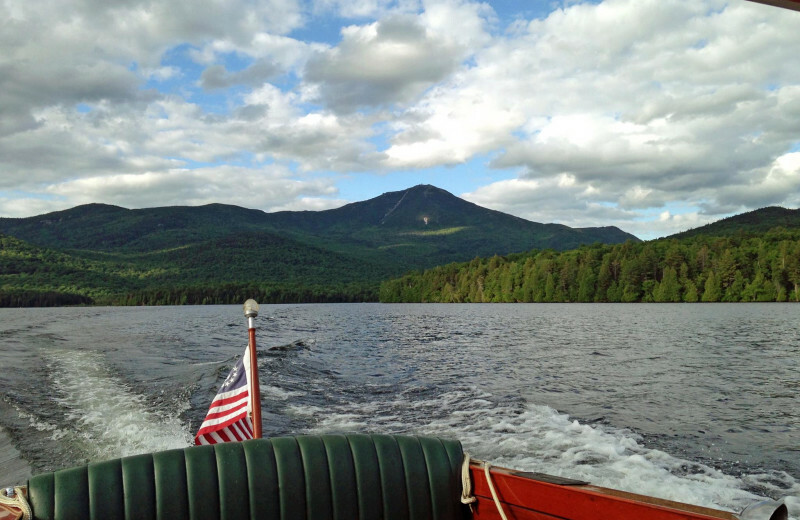 Featuring 283 skiable acres, 86 trails, and 11 lifts, Whiteface Mountain is the largest ski resort east of the Rockies. 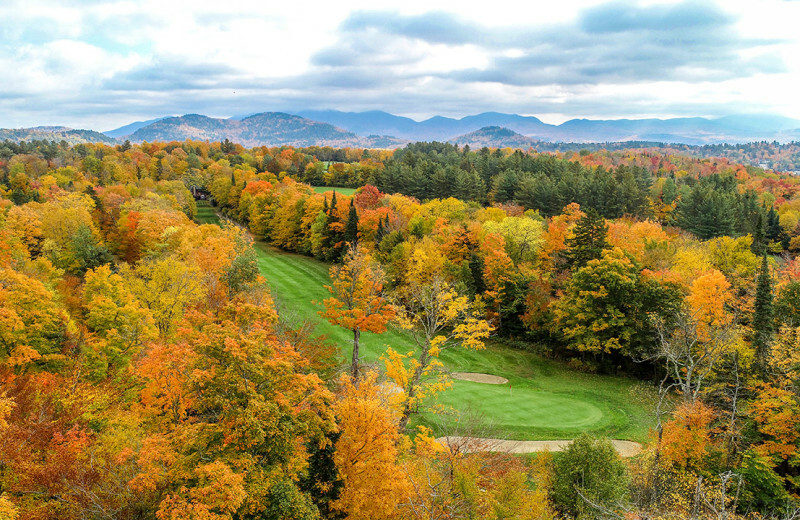 Enjoy the 3,430-foot vertical drop, the beautiful scenery, and the challenging runs that range for all skill levels. 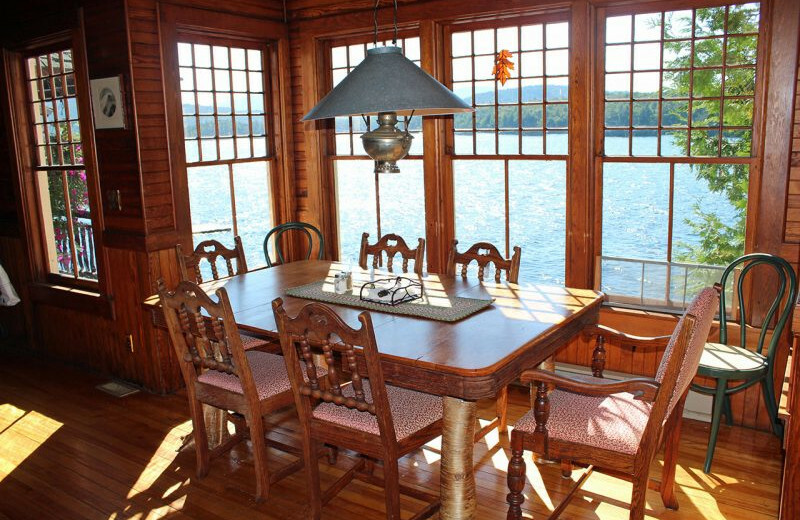 There's no better place than this for your next winter retreat! 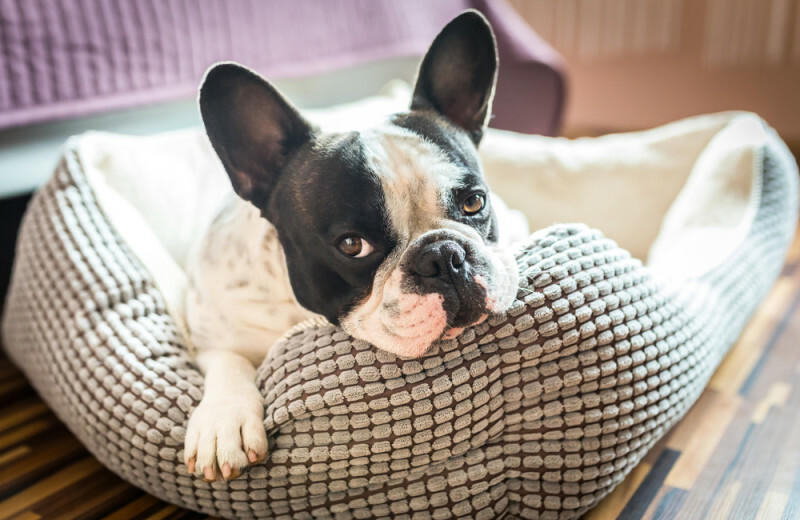 Don't worry about leaving your pet behind at home on your next vacation. 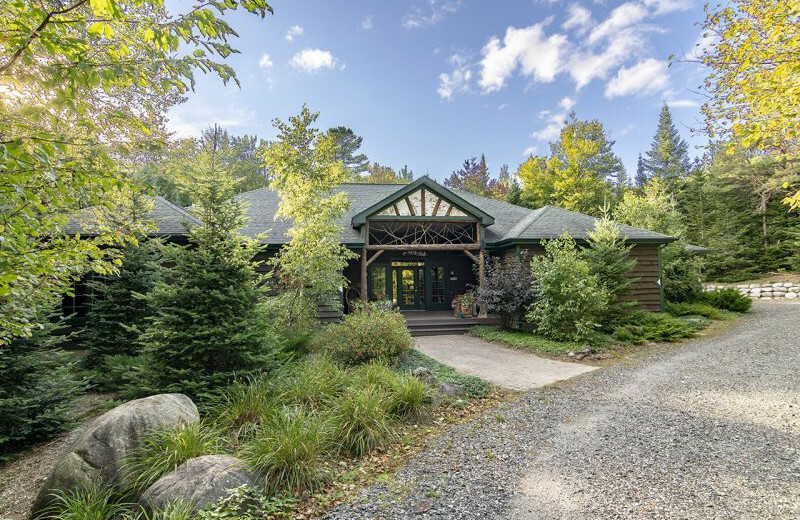 Adirondack Premier Properties understands that pets are a part of the family and offer a collection of pet-friendly accommodations. 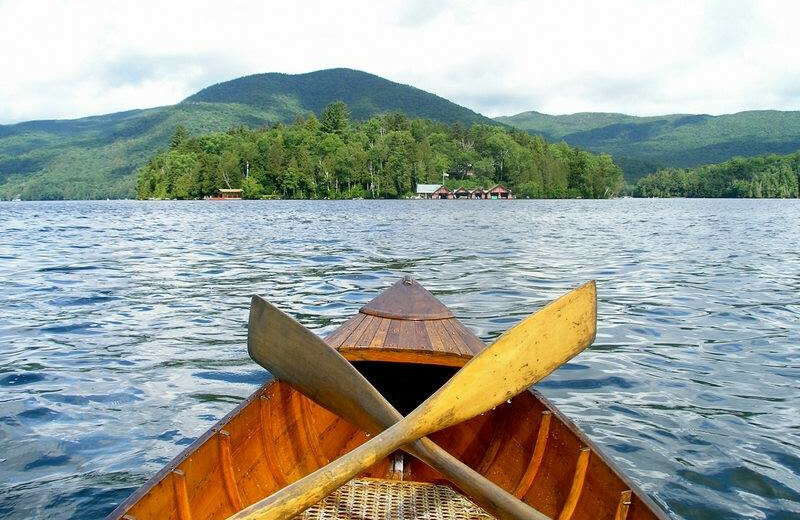 You're sure to have a great time exploring all the wonders of the Adirondacks together with your furry friend! 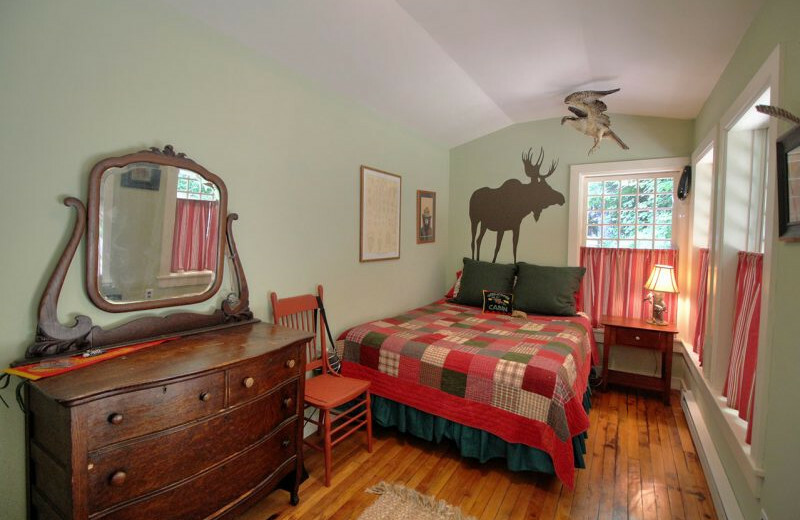 For more information regarding their pet policies, please contact the property. 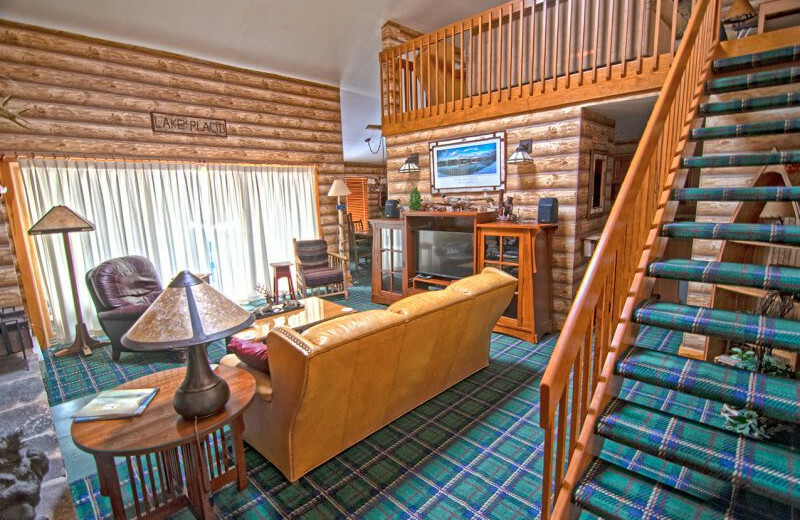 Adirondack Premier Properties features a wide variety of luxury accommodations located through the Lake Placid area of New York. 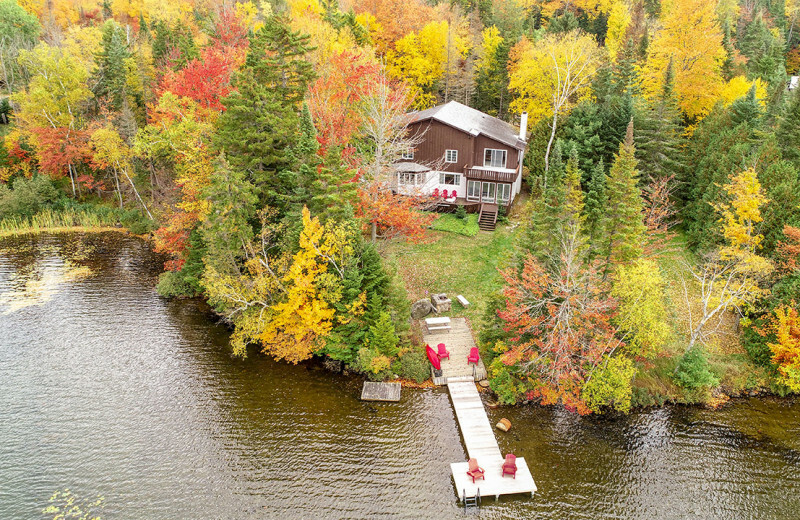 Choose from sophisticated waterfront rentals, spacious vacation homes, charming mountainside cabins and cottages, and comfortable townhomse or condos. 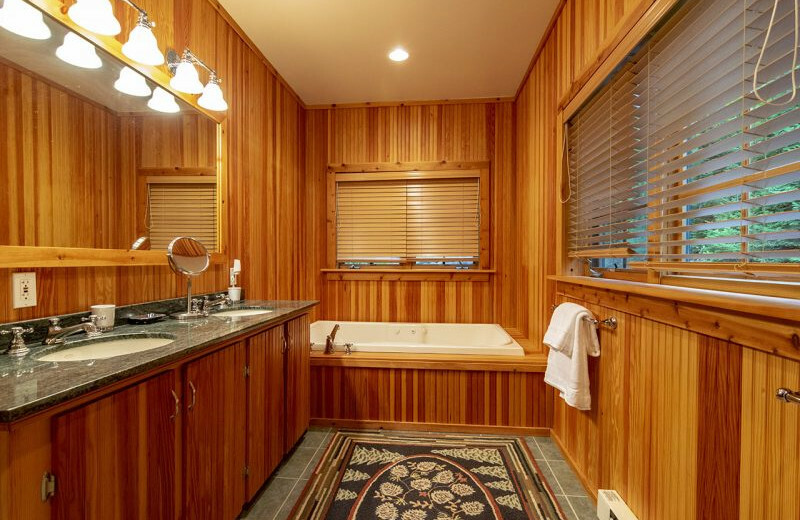 With so many styles to choose from, you're guranateed to find the place that best suits your needs. 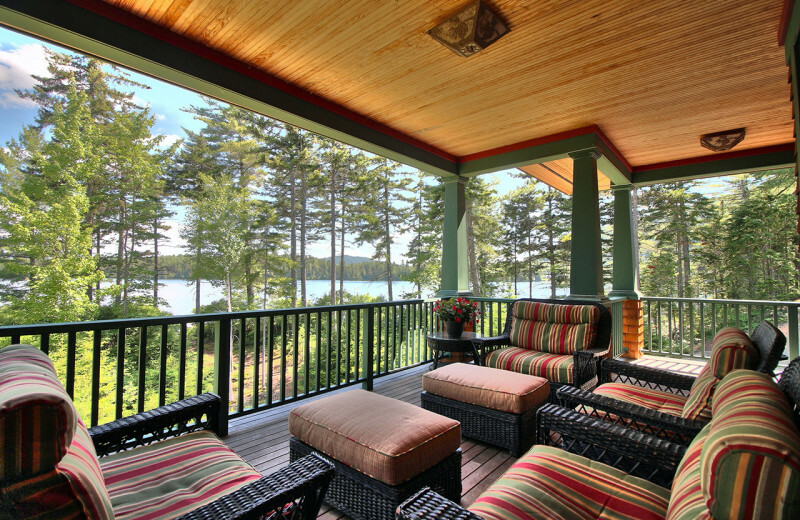 Each of their properties are ideally furnished with modern amenities such as full kitchen, cozy living spaces, and private decks or porches. 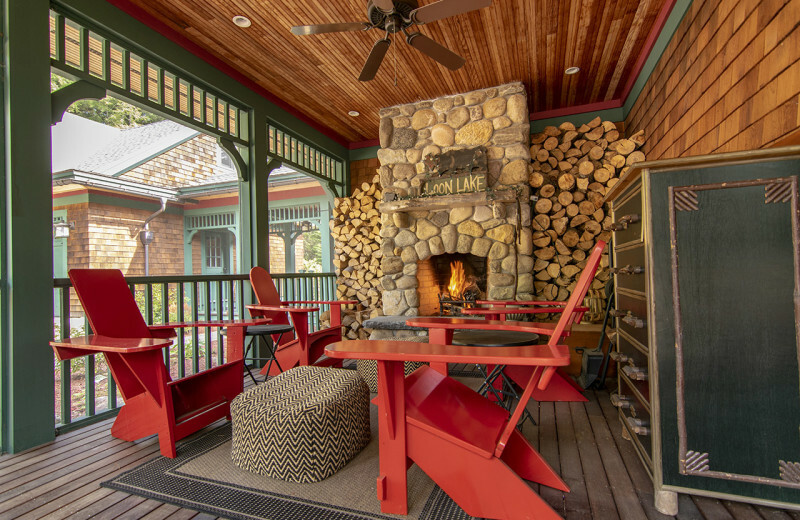 Enjoy things like wireless internet, cable television, and fireplaces, as well as access to community tennis courts, beaches, and more. 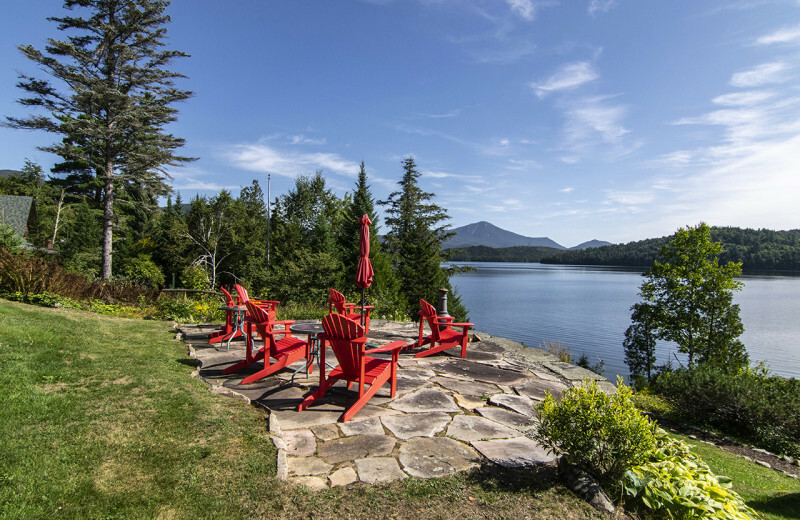 No matter where you choose to stay, you'll love the breathtaking views of the Adirondack Mountains all around! The Adirondack Mountains are a stunning year-round destination for travelers of all kinds. 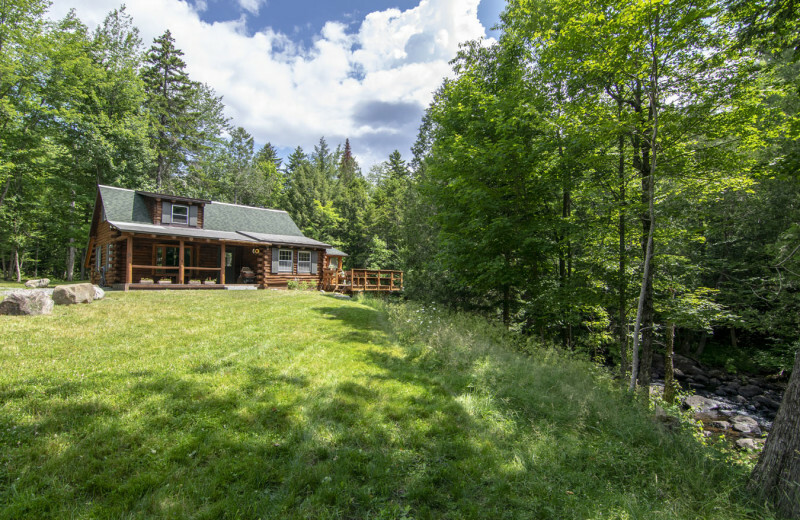 Stay with Adirondack Premier Properties and enjoy being right in the heart of this natural outdoor playground! Spanning over six million acres, the mountains are home to the largest protected natural area in the lower 48 states of the country. 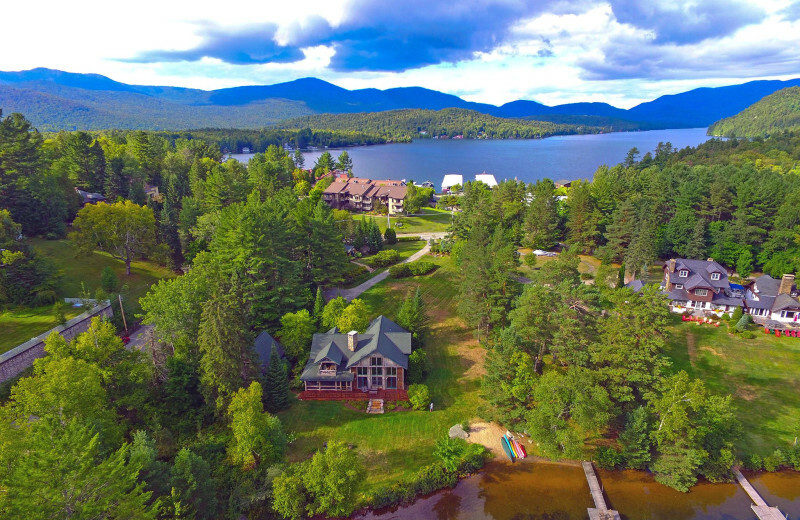 Adirondack Premier Properties' offers accommodations in the Lake Placid area which puts you close to Lake Placid itself as well as the Saranac Lake Chain and the famous 46 High Peaks. 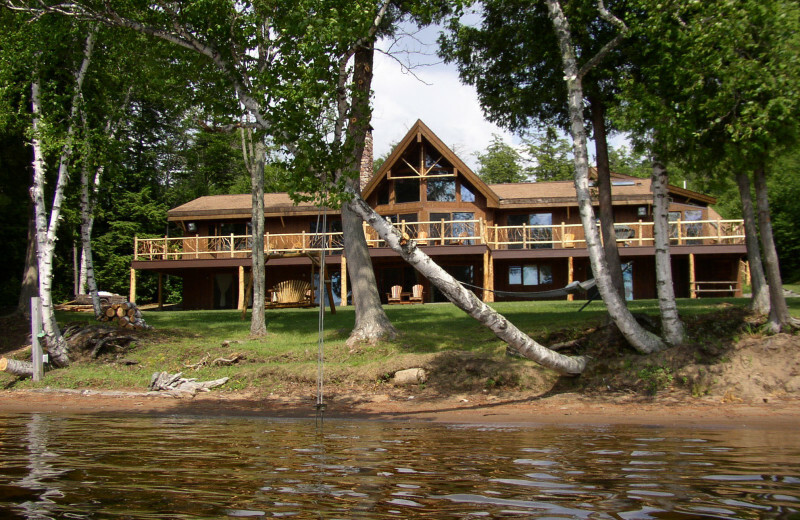 Come explore the magnificent terrain on a hiking trip, or ride the gentle lake waves on a kayak or fishing trip. 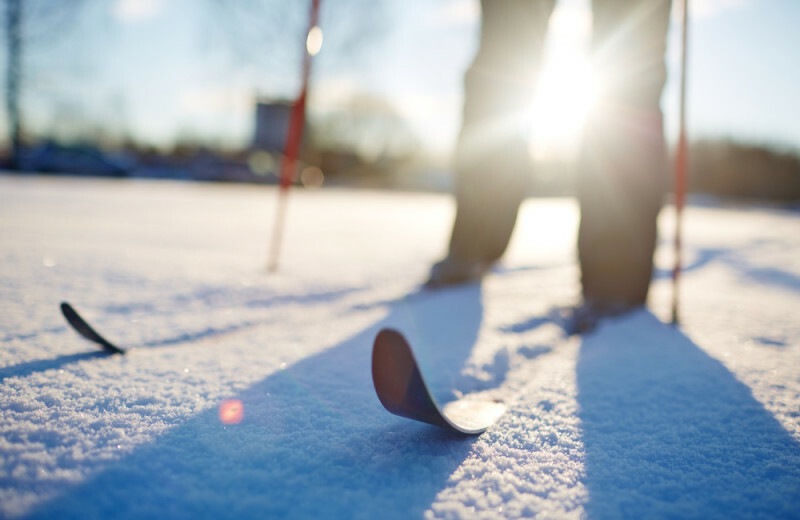 And if you're here in the winter, be ready to enjoy the sparkling white snowy grounds that are perfect for skiing! 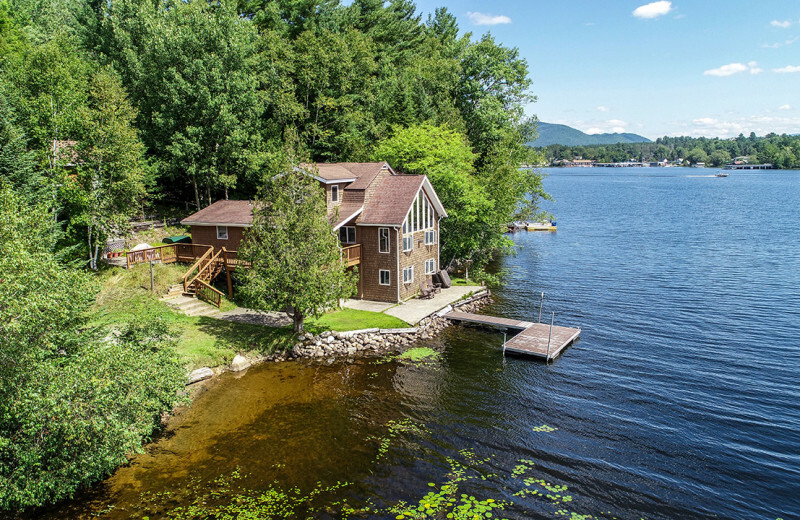 Adirondack Premier Properties offers a collection of waterfront properties that put you just steps away from the shores of Lake Placid and the Saranac Lake Chain. 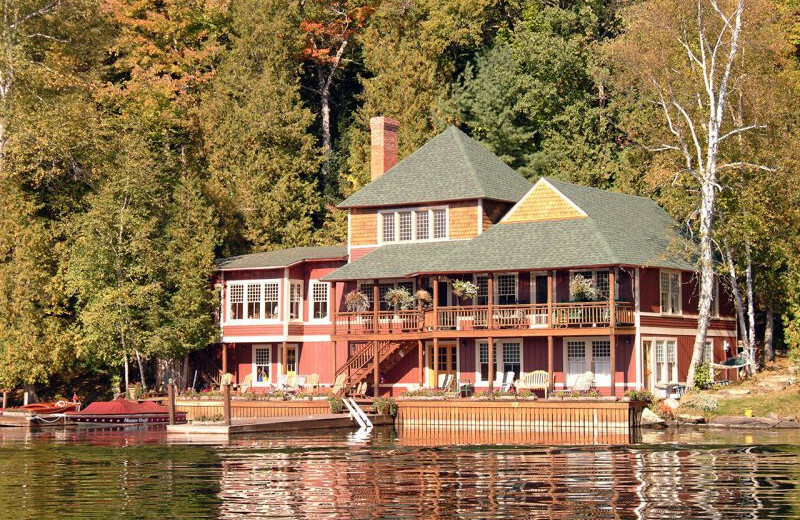 These luxury rentals offer easy beach and water access so you're never far from all the fun! 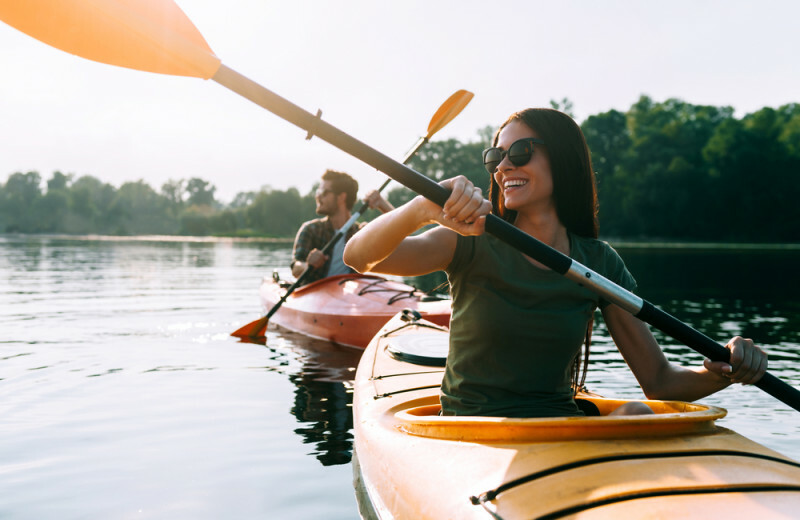 Spend a day casting your line on a fishing trip, or take out your kayaks and canoes to quietly explore the waters at your own pace. 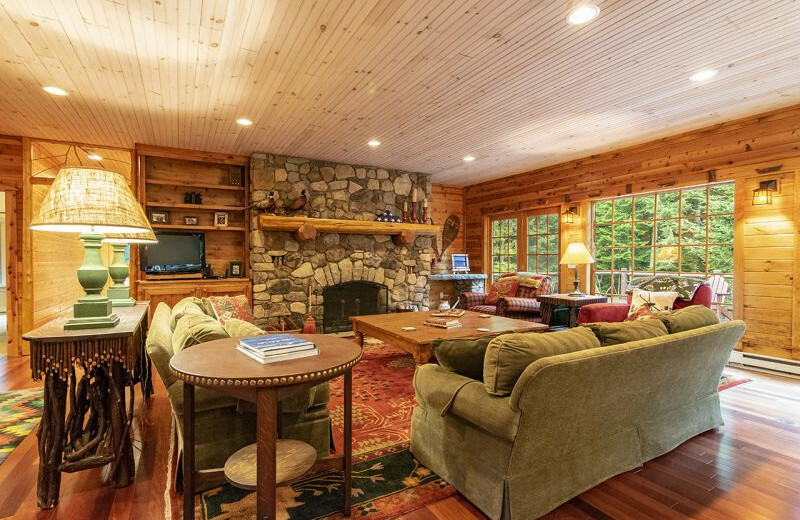 Enjoy that peaceful, cozy mountainside cabin experience when you book one of the charming cabins or cottages from Adirondack Premier Properties. 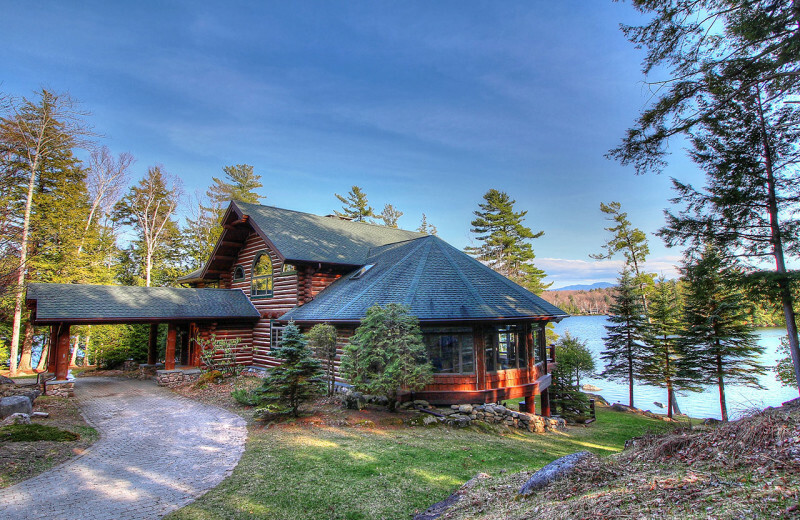 Their beautiful cabins are impeccably furnished and feature vaulted ceilings, full kitchens, living room with wood-burning fireplace, cozy decks or portches, and much more. 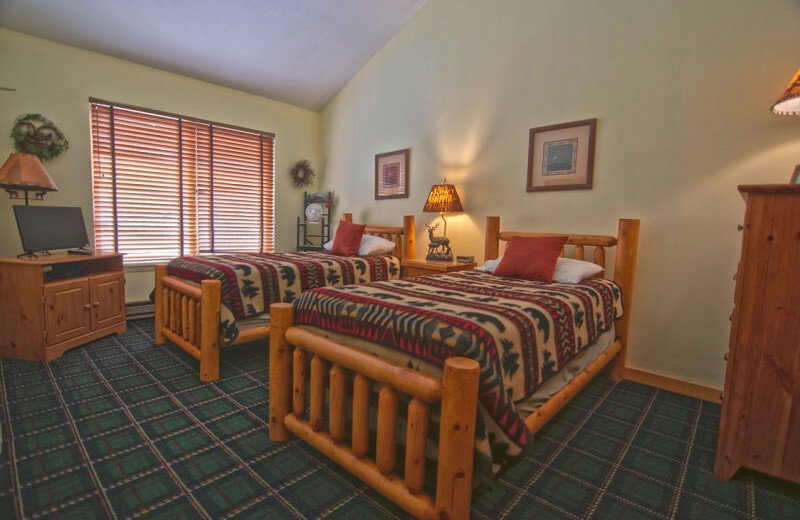 Located just off the main street, they offer more privacy and natural surroundings for a quiet and relaxing stay! 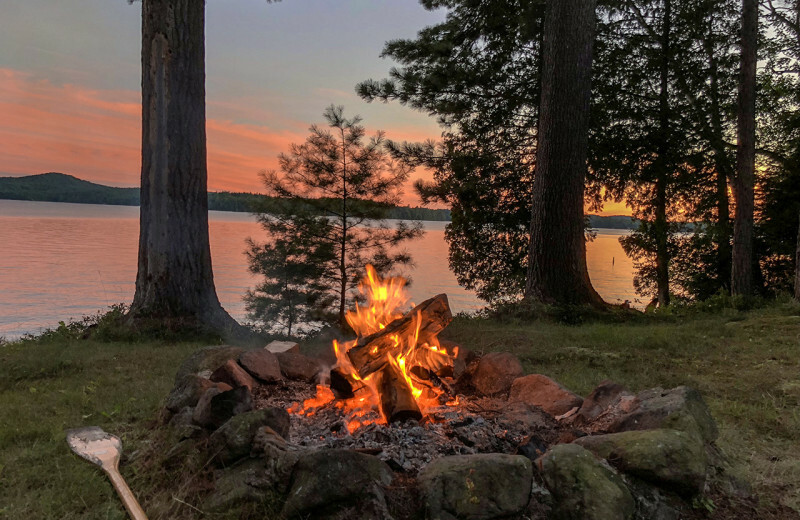 Whether you're planning a trip over Christmas, the Fourth of July, or another holiday throughout the year, you'll discover Adirondack Premier Properties offers everything you need for a great vacation. 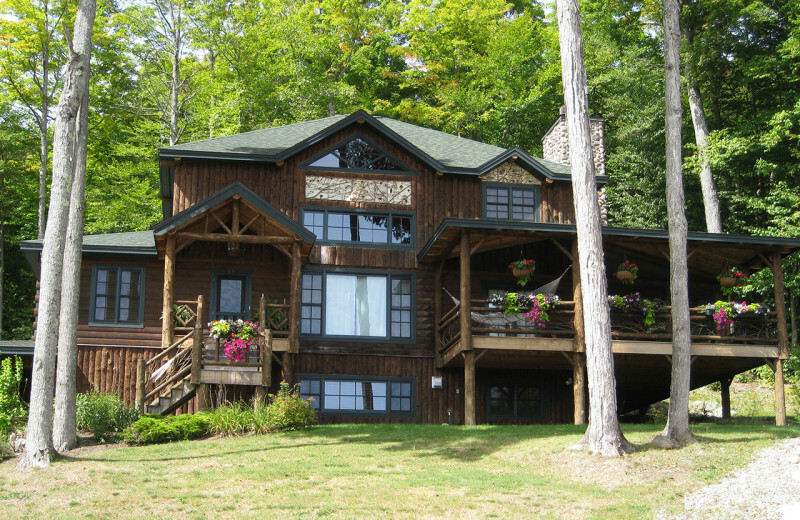 Their luxury accommodations put you minutes from Lake Placid and the surrounding Adirondack Mountains. 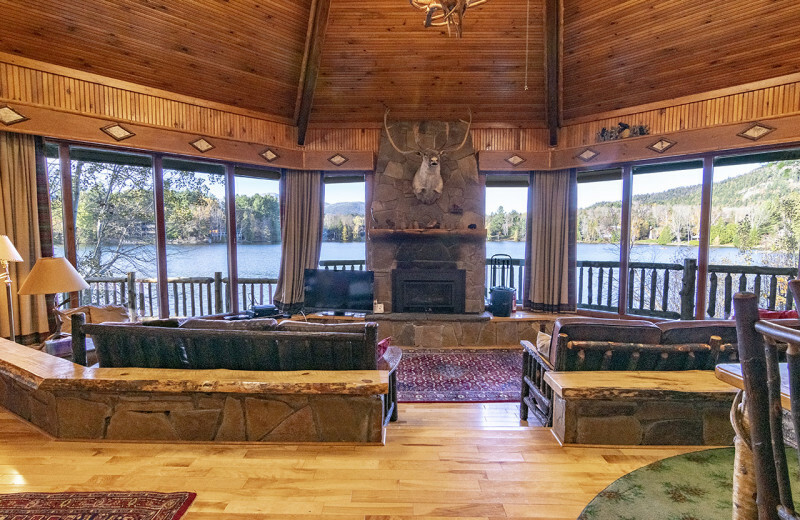 Explore the rugged natural trails, or enjoy an afternoon of fishing at the lake and waiting for the fish to bite. 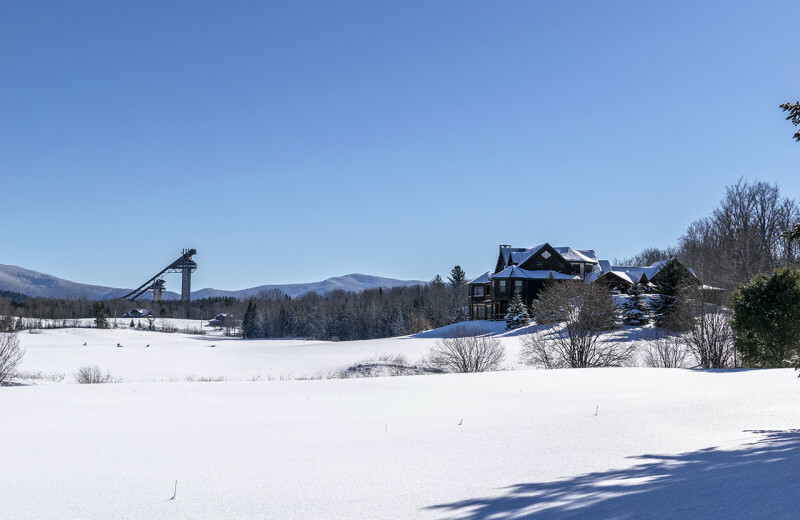 In the winter, you'll find excellent skiing opportunities at nearby Whiteface Mountain. 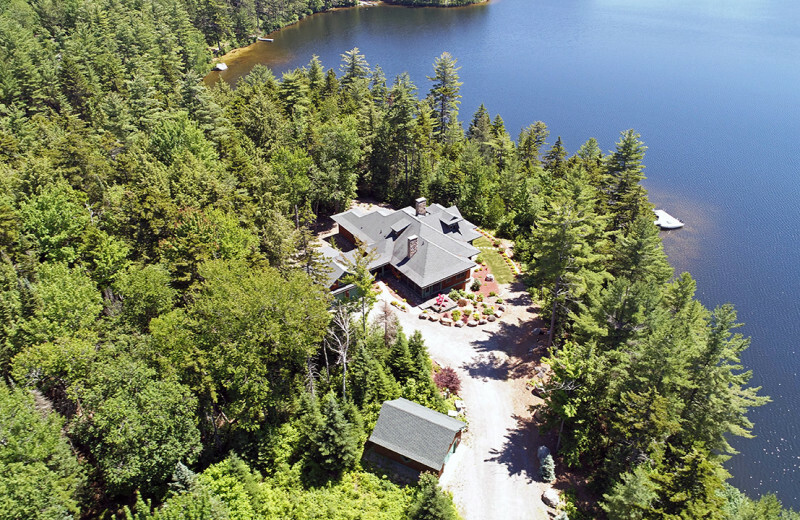 Adirondack Premier Properties offers the perfect holiday retreat! 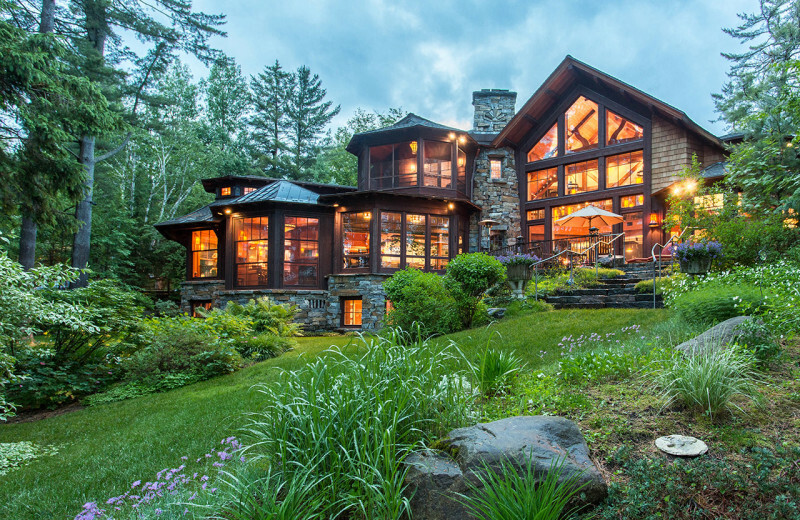 Adirondack Premier Properties offers a collection of luxury condominiums located in either the Village Center or at the Whiteface Inn Club. 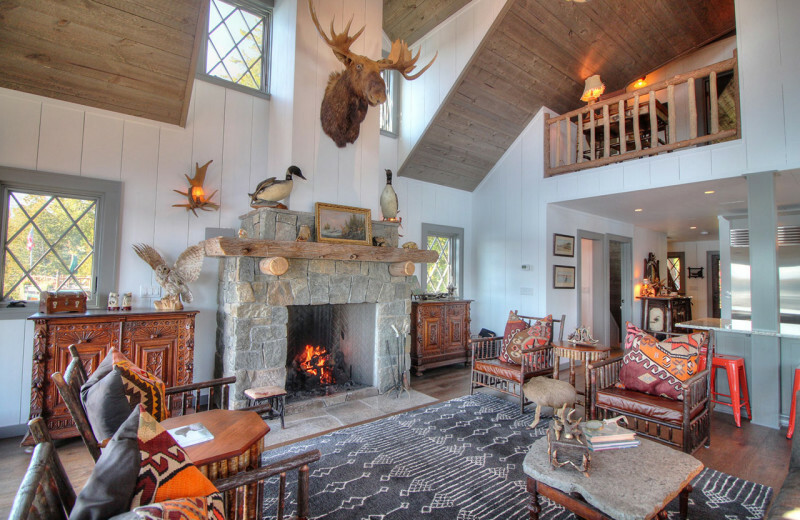 These accommodations are all beautifully furnished and equipped with modern amenities such as custom kitchen, living room with wood-burning fireplace, private decks, and modern bathrooms. 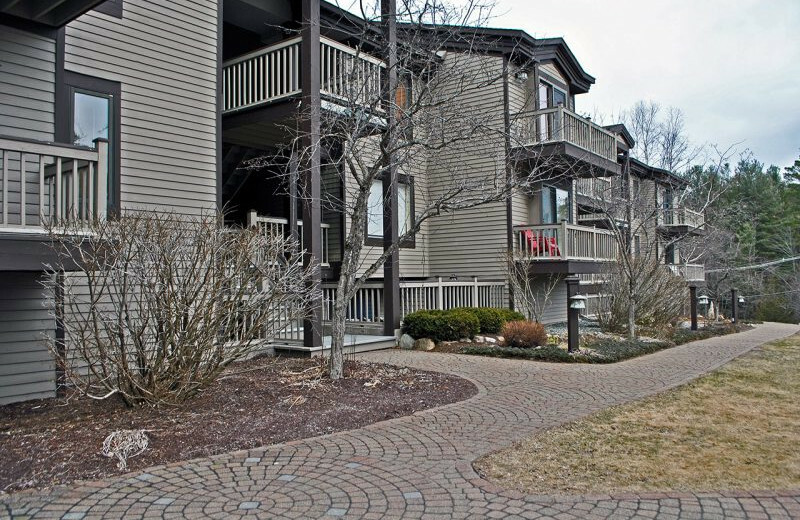 Plus, when you stay at their condos you have access to onsite community perks such as tennis courts, swimming pools, and hot tubs! 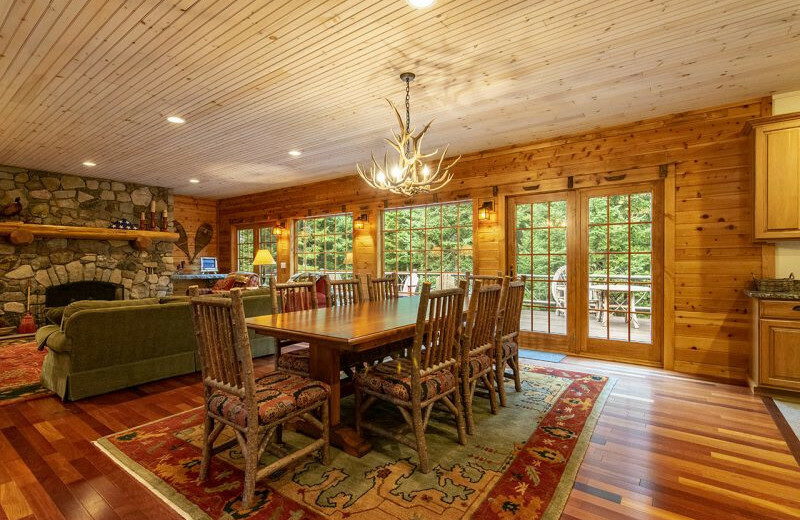 This property is ranked number 8 on Top Adirondacks Vacations. Read about it here.